The sar command output can be used for identifying server bottlenecks. However, analyzing information provided by sar can be difficult, so use kSar tool. kSar takes sar command output and plots a nice easy to understand graph over a period of time. sar : Displays the data. sa1 and sa2: Collect and store the data for later analysis. The sa2 shell script write a daily report in the /var/log/sa directory. The sa1 shell script collect and store binary data in the system activity daily data file. /usr/lib64/sa/sa1 (64bit) or /usr/lib/sa/sa1 (32bit) – This calls sadc to log reports to/var/log/sa/sadX format. /usr/lib64/sa/sa2 (64bit) or /usr/lib/sa/sa2 (32bit) – This calls sar to log reports to /var/log/sa/sarX format. How do I install sar on my system? Loaded plugins: downloadonly, fastestmirror, priorities, : protectbase, security Loading mirror speeds from cached hostfile * addons: mirror.cs.vt.edu * base: mirror.ash.fastserv.com * epel: serverbeach1.fedoraproject.org * extras: mirror.cogentco.com * updates: centos.mirror.nac.net 0 packages excluded due to repository protections Setting up Install Process Resolving Dependencies --&gt; Running transaction check ---&gt; Package sysstat.x86_64 0:7.0.2-3.el5 set to be updated --&gt; Finished Dependency Resolution Dependencies Resolved ==================================================================== Package Arch Version Repository Size ==================================================================== Installing: sysstat x86_64 7.0.2-3.el5 base 173 k Transaction Summary ==================================================================== Install 1 Package(s) Update 0 Package(s) Remove 0 Package(s) Total download size: 173 k Is this ok [y/N]: y Downloading Packages: sysstat-7.0.2-3.el5.x86_64.rpm | 173 kB 00:00 Running rpm_check_debug Running Transaction Test Finished Transaction Test Transaction Test Succeeded Running Transaction Installing : sysstat 1/1 Installed: sysstat.x86_64 0:7.0.2-3.el5 Complete! Jan 06 16:33:19 centos7-box systemd: Started Resets System Activity Logs. ● sysstat.service - Resets System Activity Logs Loaded: loaded (/usr/lib/systemd/system/sysstat.service; enabled; vendor preset: enabled) Active: active (exited) since Sat 2018-01-06 16:33:19 IST; 3s ago Process: 28297 ExecStart=/usr/lib64/sa/sa1 --boot (code=exited, status=0/SUCCESS) Main PID: 28297 (code=exited, status=0/SUCCESS) Jan 06 16:33:19 centos7-box systemd: Starting Resets System Activity Logs... Jan 06 16:33:19 centos7-box systemd: Started Resets System Activity Logs. How Do I Use sar? How do I View Stats? 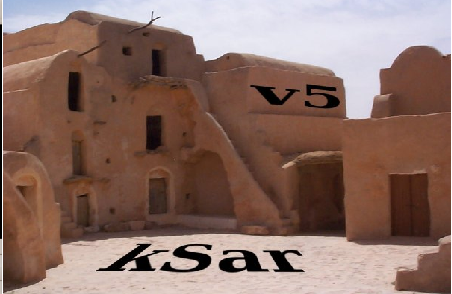 How Do I Run kSar? Next you will see main kSar window, and menus with two panels. The left one will have a list of graphs available depending on the data kSar has parsed. The right window will show you the graph you have selected. How Do I Generate sar Graphs Using kSar? Switch to kSar Windows. Click on Data > Load data from text file > Select sar.data.txt from /tmp/ > Click the Open button. With sar command and kSar tool, one can get the detailed snapshot of memory, CPU, and other subsystems. For example, if CPU utilization is more than 80% for a long period, a CPU bottleneck is most likely occurring. Using sar -x ALL you can find out CPU eating process. 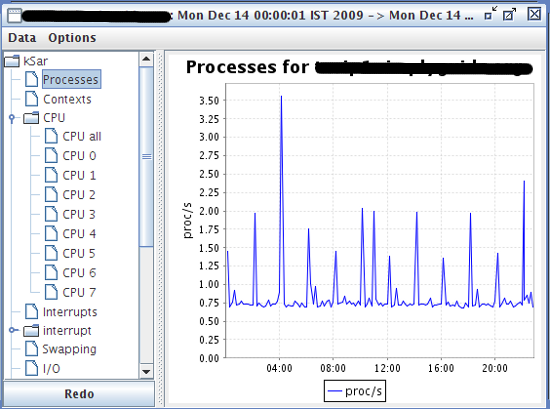 The output of mpstat command (part of sysstat package itself) will also help you understand the cpu utilization. You can easily analyze this information with kSar. Make sure that no unnecessary programs are running in the background. Turn off all unnecessary services on Linux. Use cron to schedule jobs (e.g., backup) to run at off-peak hours. Use top and ps command to find out all non-critical background jobs / services. Make sure you lower their priority using renice command. Use taskset command to set a processes’s CPU affinity (offload cpu) i.e. bind processes to different CPUs. For example, run MySQL database on cpu #2 and Apache on cpu # 3. Make sure you are using latest drivers and firmware for your server. If possible add additional CPUs to the system. Use faster CPUs for a single-threaded application (e.g. Lighttpd web server app). Use more CPUs for a multi-threaded application (e.g. 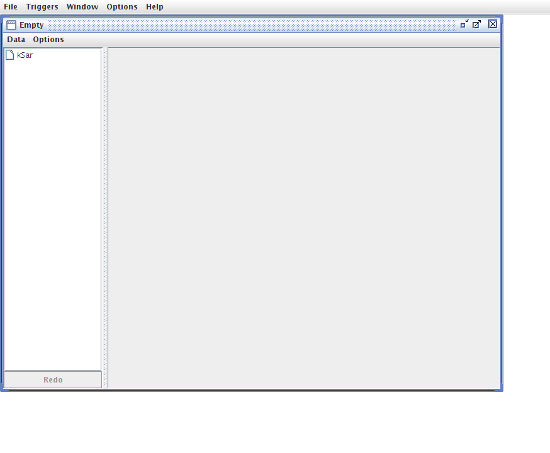 MySQL database server app). Use more computer nodes and set up a load balancer for a web app. The isag command graphically displays the system activity data stored in a binary data file by a previous sar run. The isag command invokes sar to extract the data to be plotted. isag has limited set of options as compare to kSar. I think u’ve given the wrong path to the images (screenshots of ksar), They are not being loaded, please check & update. They are loading fine here. I do not see any problem. I have used KSAR many times to provide quality graphs for management. What A great tutorial. Thank you very much for the post. I enjoy reading your blog. I am a MySQL DBA and this will help me tremendously in my job. Thanks again!! Very very very interesting. I haven’t heard of sar or ksar. Good info! Thanks! Yes those graphs makes more sense with management folks. 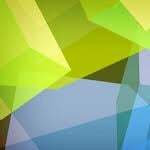 @mark / sims – thanks for comment. Thanks for the feedback. 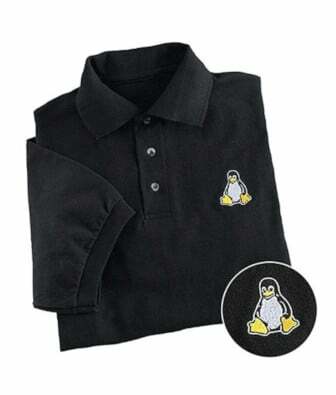 However, RHEL / CentOS got older stable version. I already found some good stuff in latest version. “Download PDF” lisk is not working, showing “410 Gone”. I’ve tweaked code a little bit. Try again. This time it should work! Really help me lots to get a portable output. Earlier I was used cacti to do this. 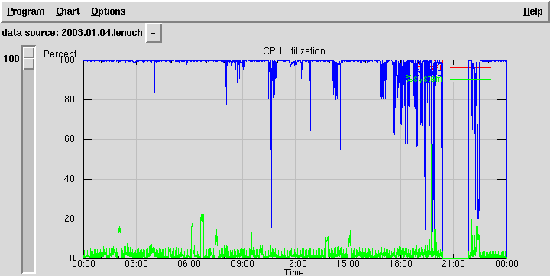 It’s a online tool and required huge SNMP traffic to analyze. But it’s simple, easy to configure but rich in output. First of all thanks for your good article. 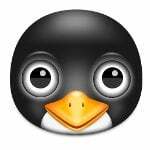 I am using munin as monitoring system resources and I think you try it. What if you did not generate SAR file using the locale LC_ALL=C prefix? I have a sar output in text (without using the locale prefix), but kSar doesn’t parse it. It only knows first timestamp and that’s it. Any options? Can I tweak the file to see the output? today after a nw install on a new machine it always opens the file since midnight, and does not update every 5 seconds. Infact nothing I do can make it update “Live” it always opens from midnight to now???? echo "Enter the number of intervals (seconds) for the sar statistics:"
echo "enter the number of output lines (count) to process:"
echo "* Choose from the following: *"
echo "*  To view process creation statistics *"
echo "*  To view I/O and transfer rate statistics *"
echo "*  To view paging statistics *"
echo "*  To view block device statistics *"
echo "*  To view statistics for all interrupt statistics *"
echo "*  To view device specific network statistics *"
echo "*  To view extended network statistics *"
echo "*  To view CPU specific statistics *"
echo "*  To view Only 1st CPU stats *"
echo "*  To view queue length and load averages statistics *"
echo "*  To view memory and swap space utilization statistics *"
echo "*  To view inode, file and other kernel tables statistics*"
echo "*  To view system switching activity statistics *"
echo "*  To view swapping statistics *"
echo "*  To view statistics for a given process ( Example: a process called Apache with PID # 3256) *"
echo -n "Enter your menu choice [0-15]: "
echo "This file will be saved to /tmp/sar_pc_stat_$D"
2) echo "I/O and transfer rate statistics"
echo "This file will be saved to /tmp/sar_IO_TR_stat_$D"
echo "This file will be saved to /tmp/sar_pag_stat_$D"
4) echo "block device statistics"
echo "This file will be saved to /tmp/sar_block_stat_$D"
5) echo "all interrupt statistics statistics"
echo "This file will be saved to /tmp/sar_Intr_stat_$D"
6) echo "specific network statistics"
echo "This file will be saved to /tmp/sar_Net_stat_$D"
7) echo "Extended network statistics"
echo "This file will be saved to /tmp/sar_ENet_stat_$D"
8) echo "CPU specific statistics"
echo "This file will be saved to /tmp/sar_CPU_stat_$D"
9) echo "1st CPU statistics"
echo "This file will be saved to /tmp/sar_1CPU_stat_$D"
10) echo "queue length and load averages statistics"
echo "This file will be saved to /tmp/sar_queue_stat_$D"
11) echo "memory and swap space utilization statistics"
echo "This file will be saved to /tmp/sar_mem-swap_stat_$D"
12) echo "inode, file and other kernel tables statistics"
echo "This file will be saved to /tmp/sar_kern_stat_$D"
13) echo "system switching activity statistics"
echo "This file will be saved to /tmp/sar_switch_stat_$D"
echo "This file will be saved to /tmp/sar_swap_stat_$D"
15) echo "statistics for a given process (Example: PID # 3256)"
echo "Enter the proccess number you want to check:"
echo "This file will be saved to /tmp/sar_proc_stat_$D"
Great !!!!!!!!!!!!! Very useful article…. But there is some issues with LC_ALL=C sar -A > 1234.txt. The -A option………….. It is throwing java exceptions. It is not generating java exceptions. But not plotting output. Before using sar or ksar. One of the biggest flaws with this tool is that we need to run our servers using X session which is not a good idea. Is there a way to get the reports through web pages using Apache or pull reports off to another server and do the same thing ? Great !!!!!!!!!!!!! Very useful articleâ€¦. Is there a way to generate weekly or monthly reports with this tool? I am very interesting your post. I tried it. But i have 1 question. On the sysstat config file the system stats are kept in 28 days. So, how can i do if i want to see the history system stats (not currently). Such as, the system stats of the first day. I too am very interested in doing weekly and/or monthly reports. Is that capability available in ksar? I haven’t been able to find it. Nice tool. Runs in batch mode for easy daily/weekly/monthly reporting. Only flaw is that when run in batch mode, it only displays up to 18:00 – using either jpg, png or pdf. Any ideas? 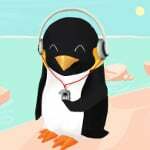 Hi, it is a great article ! It has been very usefull in my job. Guys, can somebody help me to extract pdf for CPU and Memory in PDF form, remaining graphs are just junk for me. The following line i used to create a PDF file. java -jar /kSar.jar -input -outputPDF output.pdf. I use ksar version 5.0.6, where you’ll get an option to export the report to PDF, JPG, PNG, CSV, & XLS format. Once you select PDF option and the location to save it, it’ll give you choice to import all data or selected options (tick the check box you want i.e. CPU & memory etc). What a good article, i was aware of sar but using different tools like nmon and bonniee++ to create graphs, but ksar is really wonderful and easy to use. sar -x option never works. When I run the SAR command using “-x” options it says that option does not exist. I cant find “-x” even in man page for sar. I really need a proper “sar ” command to monitor activity for Given process ( say Apache PID 3618) … please ???? 1. How to generate the monthly or weekly report ? i mean in a single chart i should a get a monthly report ? 2. -addHTML option is not working. I am not able to generate any HTML report. 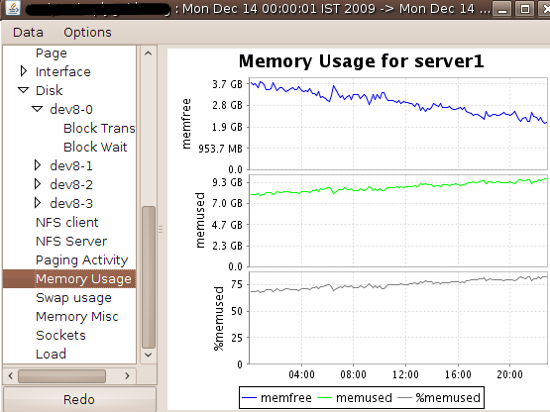 How do you get a single graph for 10 days worth of data for CPU, I/o and memory usages.